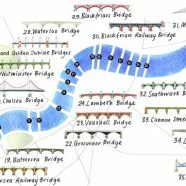 The River Thames is London’s defining geographical feature and its inclusion is almost mandatory on any map attempting to cover the whole of the capital. Bridges are most Londoners’ visible contact with the river, with over 30 spanning the river in London, including elevated crossing by the so-called “Underground”. 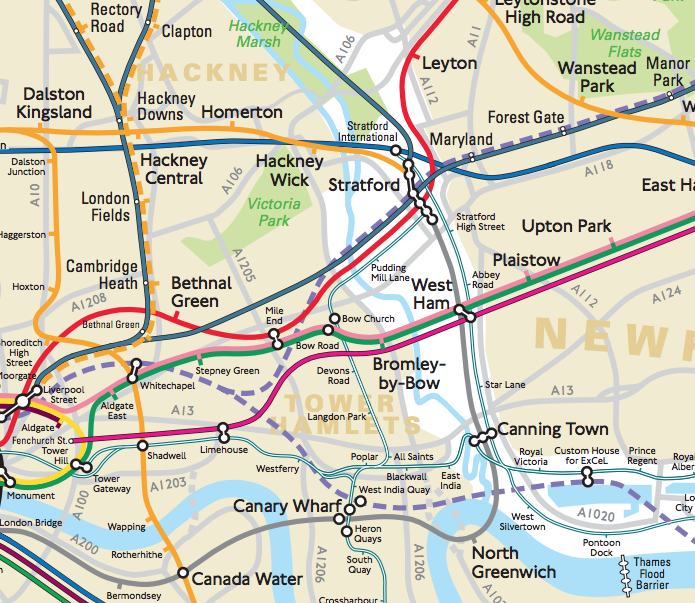 As such, illustrated maps of the Thames are a popular produced work that Londoners can relate to. 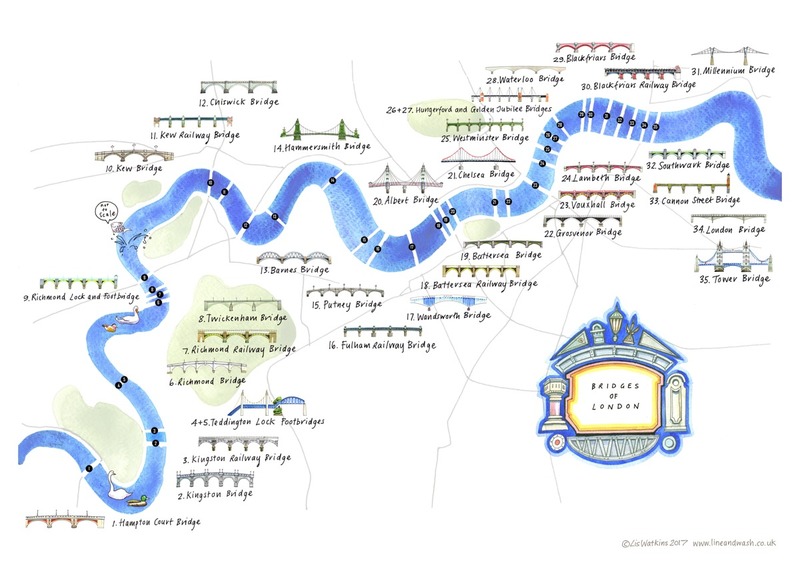 This hand-drawn artwork by illustrator Lis Watkins show the bridges in their approximately correct geographical position, and correct distances apart, although the width of the Thames itself is greatly exaggerated, as a fish jumping out of the river announces in a little speech bubble! 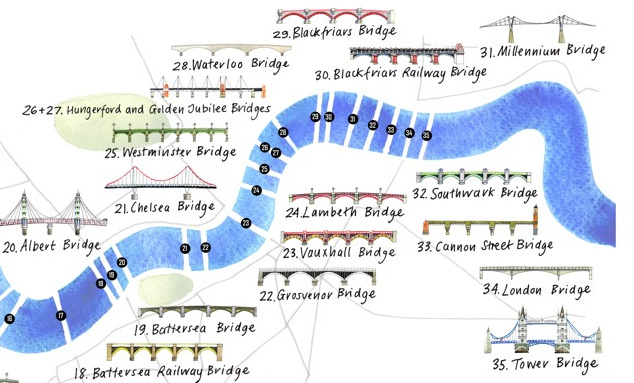 Sketches of all 35 bridges that are within the Greater London boundary are included, as close as possible to the bridge itself concerned on the map. 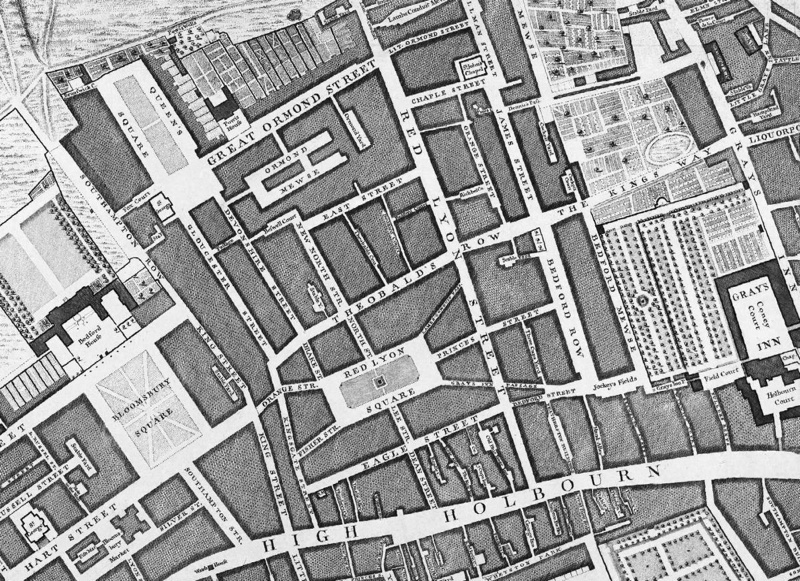 The map includes the outlines of major parks beside the river, and a lovely bridge-themed title panel, adorned with architectural elements of the bridges themselves. 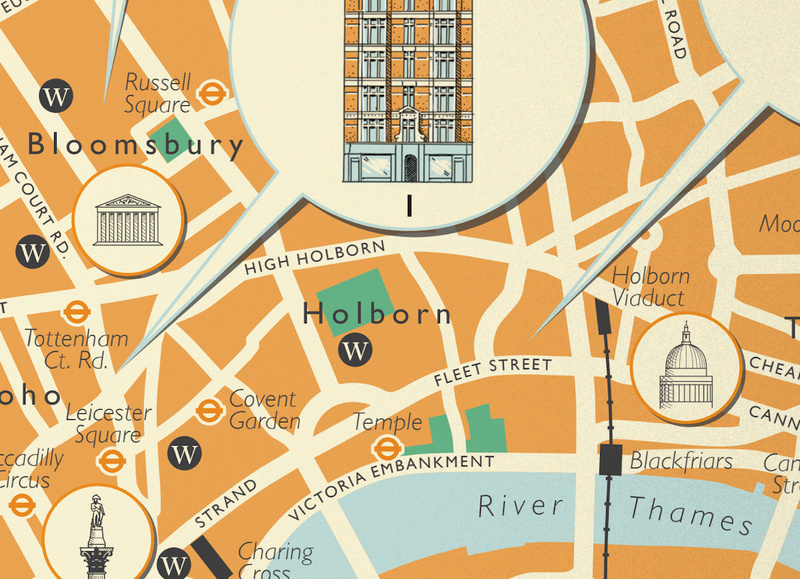 The map was commissioned by the AA and Londonist. See a full-size version here.